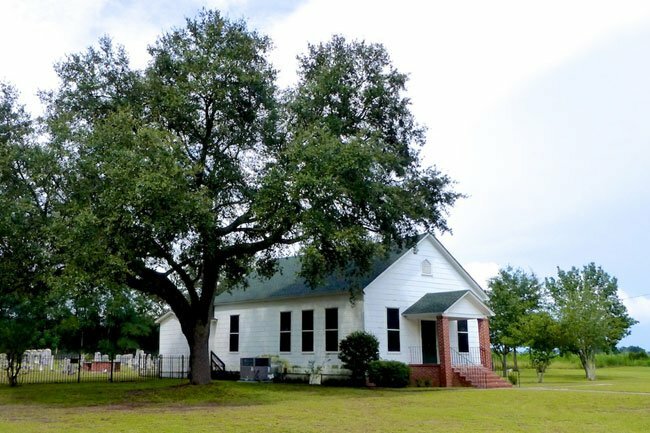 The Salem Methodist Church can be found near the small town of Hilda in Bamberg County. Long ago this beautiful church taught and nurtured a boy named Holland McTyeire who went on to become a Methodist bishop. In 1873 he founded a small college in Nashville that eventually became Vanderbilt University. We would like to make this page better. Do you have information about Salem Methodist Church that you would like to share? If so, please send it to the South Carolina Picture Project. Thank you!